Shared Inspiration by Jill Jacobsen: GT Bray Classes Available! Thursday, January 29th, 1:00 - 3:00 pm, $20 with a 10% discount for GT Bray members. Give the gift of love with a hand made card made by you. You do not need to have any art experience, just come join and be creative for an afternoon. All supplies are included. Jill is a patient teacher that loves to share her passion of rubber stamping and card making. You will make 3 complete cards, inside & out with a matching envelope. Thursday, February 5th, 1:00 - 3:00 pm, $20 with a 10% discount for GT Bray members. You will create this 6x12 canvas using different mediums. 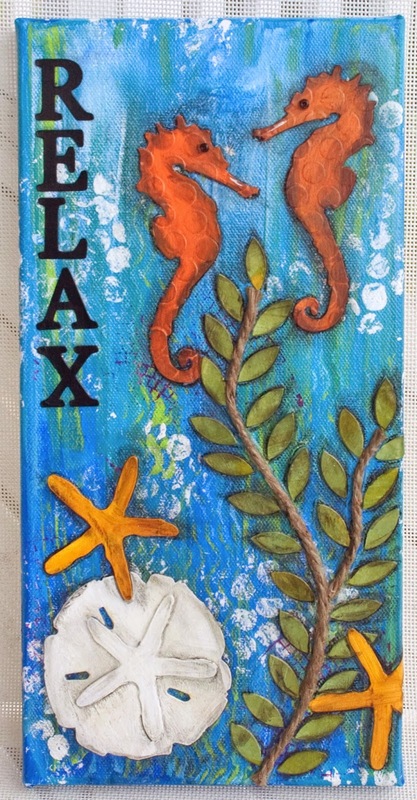 You will use acrylic paints, die cuts and other supplies to complete this fun seaside canvas to hang or give as a gift. No experience necessary and no supplies needed. However if you want to bring an apron that would be advised, because you can get messy, but the fun is in the mess! Thursday, February 12th, 1:00 - 3:00 pm, $20 with a 10% discount for GT Bray members. - Art Journaling has become very popular the last couple years. It is a great way to express yourself through art. We will explore different mediums as we create this mixed media journal page. No supplies are needed I will supply a single sheet to work on that can be framed, put in a book or whatever you choose to do with it. However if you have your own journal you would like to work in please bring it. If you would like to purchase a journal any of the craft stores (Michaels, Hobby Lobby, Joanns) has them. 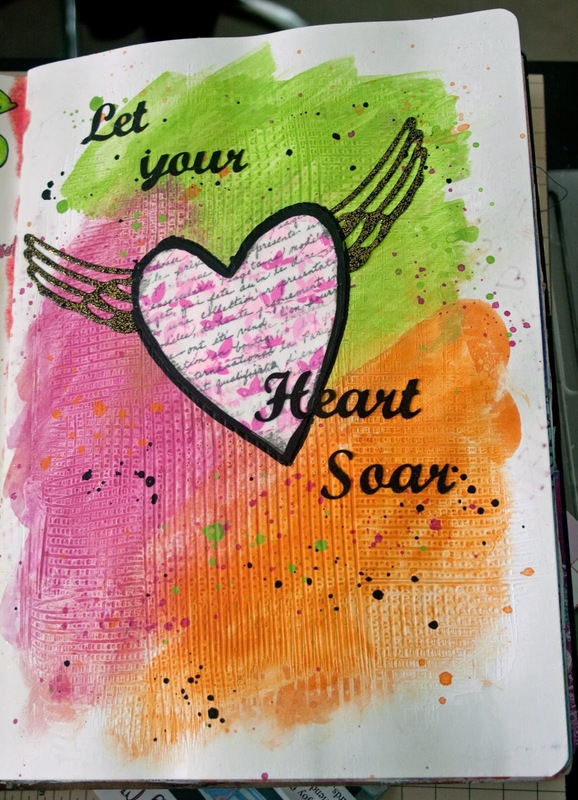 I would suggest a mixed media or water color paper journal that is at least 8 x 10 in size. Thursday, February 19th, 1:00 - 3:00 pm, $20 with a 10% discount for GT Bray members. Thursday, February 26th, 1:00 - 3:00 pm, $20 with a 10% discount for GT Bray members.